Physical abuse of a nursing home resident by caregivers is a serious problem in Illinois. Because of that, federal and state nursing home regulatory agencies have developed strict protocols on how the nursing staff and Administrator must handle any incident or allegation of abuse. Unfortunately, not all nursing facilities follow these procedures and protocols, which could place the victim in immediate jeopardy and expose them to repeated assault. Rosenfeld Injury Lawyers LLC provide legal representation to abused residents of Illinois skilled nursing homes like Newton Care Center. In addition to providing long-term care and skilled nursing care, the facility also offers adult care, hospice care, respite care, Rehab-to-Home options and physical/occupational/speech therapies. To ensure the families are fully informed of the provided care that nursing home offers in their community, the federal government and state of Illinois routinely update their completed list of safety concerns, health violations, filed complaints and opened investigations of Homes nationwide. This information can be used to make an informed decision before placing a loved one in a facility. 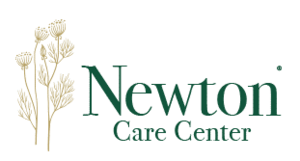 If you and your family suspect that your loved one was the victim of abuse or mistreatment by visitors, caregivers, employees or other residents while a patient at Newton Care Center, contact Rosenfeld Injury Lawyers LLC now. Allow our seasoned Newton attorneys to file your claim for compensation against all those responsible for causing harm to your loved one. Our years of experience can ensure a successful financial resolution to make sure your family receives the recompense they deserve. We urge you to contact our Jasper County elder abuse law office at (888) 424-5757. Schedule your appointment today to speak with one of our experienced lawyers for your free comprehensive case review. Make no upfront payment for our legal fees which are paid only after we have successfully resolved your case by winning at trial or negotiating an acceptable out of court settlement on your behalf.